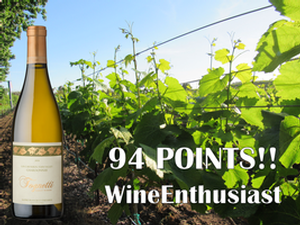 Our 2014 Chardonnay recieved a score of 94 Points and Editors' Choice from Wine Enthusiast! Our club members got first access to this great wine in their last club shipment. Now with this great news we have now made the wine available for sale on our website to everyone. Make sure to get your bottle today while they last. The full review will be in the September issue of Wine Enthusiast Magazine but you can read it now by clicking here. Our wine recieved a score of 92pts! Meridith gave our wine three kisses on her "smooch rating scale" which means she was "Wildly Infatuated" with the wine! Make sure to check out the full review below and click here to see the magazine cover. You can also visit The Tasting Panel website to find more great wines and read a digital copy of the entire issue. 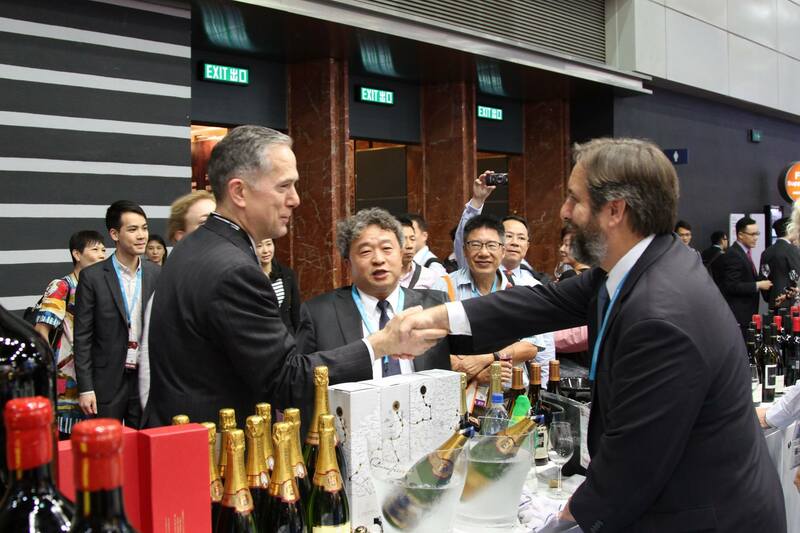 We participated in the 2015 Hong Kong International Wine and Spirits Fair this November. 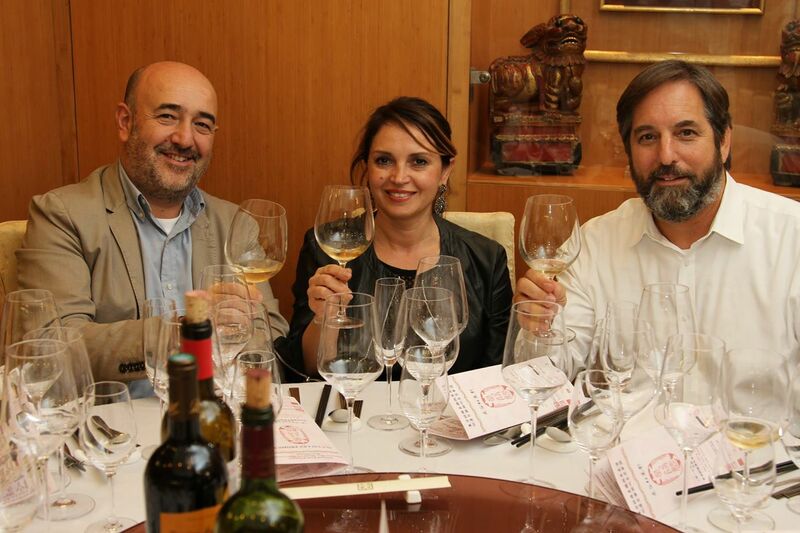 We have attended the event in the past but this was the first year we poured our wine. As always the event hall was buzzing with energy as wine producers and industry professionals from all over the world gathered to network, learn, and taste new wines! The event takes place over three days full of educational seminars, awards ceremonies, and tastings. 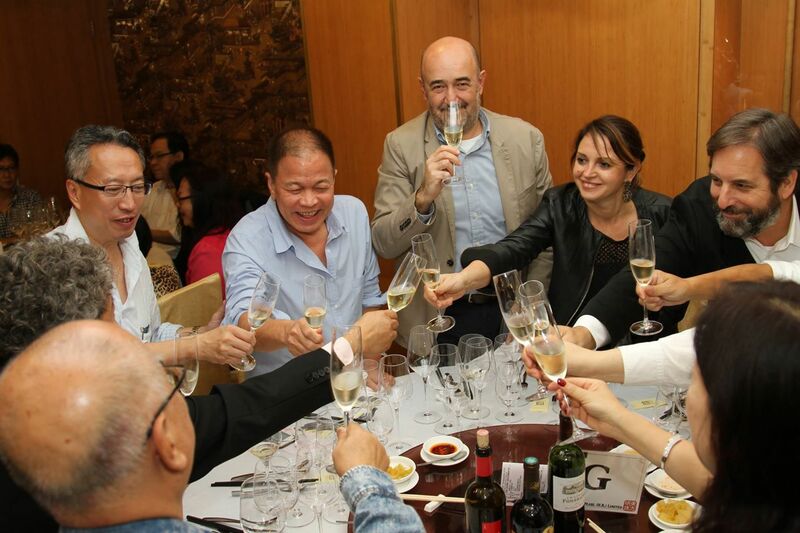 In addition to the show, we also participated in a number of wine dinners hosted by our distribution partner in Hong Kong. 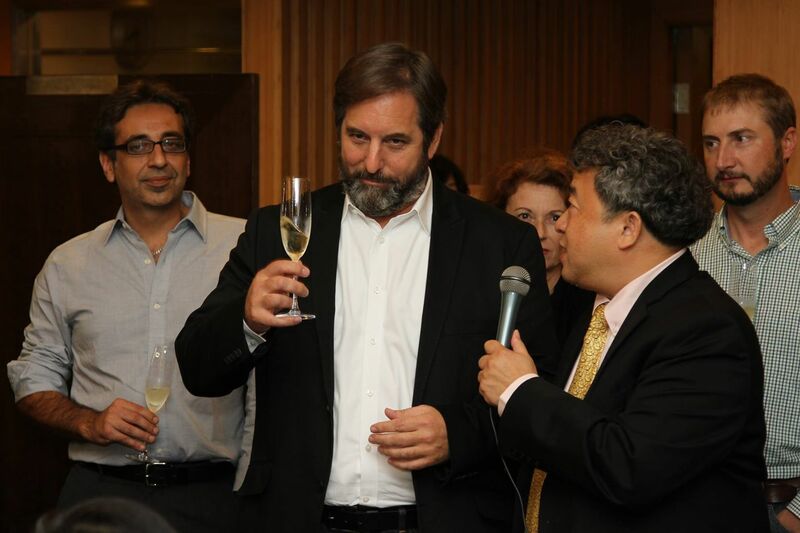 If you're in Hong Kong and are interested in purchasing our wine lease email sales@tognettiwines.com. 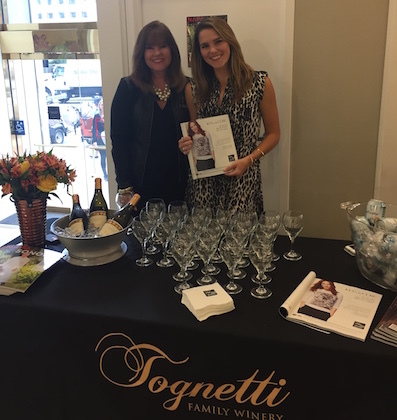 This past Saturday we poured our wine at the 2015 Key to the Cure charity shopping weekend at the San Francisco Saks Fifth Avenue store. 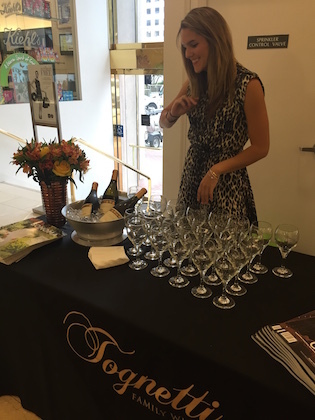 The event was held in the first floor beauty department and was hosted by Diablo Magazine and Saks Fifth Avenue. Saks donated 2% of their sales proceeds between October 15th-18th as well as money earned through sales of exclusive event t-shirts designed by Jason Wu to the California Pacific Medical Center Foundation to help fund cancer research. It was a fun event for a great cause! We are very happy to announce that our 2013 Carneros Chardonnay received a silver medal in this year's San Francisco International Wine Competition! 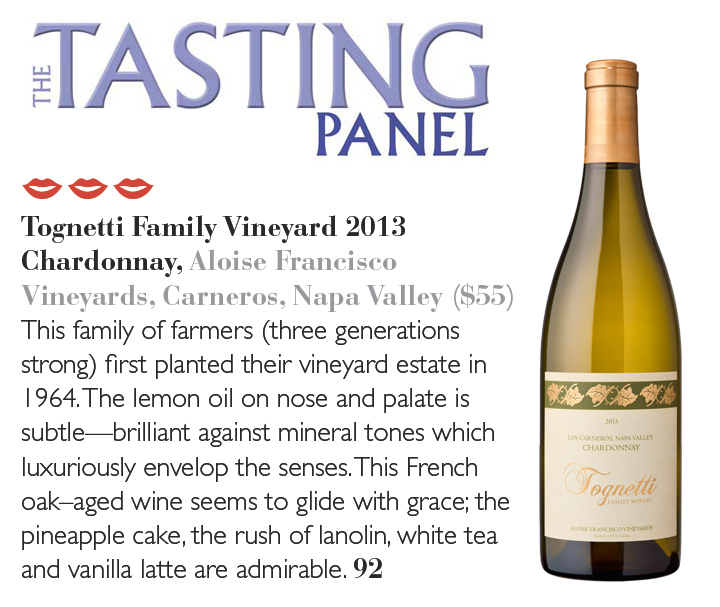 This wine is the second offering from Tognetti Family Winery and is definitely a vintage that will be remembered. Made with grapes that are grown on our family-owned property, Keith makes this wine using a minimalist winemaking style that allows the fruit to truly shine. Aged in 100% French oak, the flavor is rich and full bodied yet still refreshing enough for a hot day. Make sure to get your bottle while it’s still available! If you’ve never followed the San Francisco International Wine Competition we highly suggest you check it out. 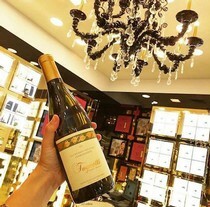 It’s seen as one of the most influential wine competitions in America and is a great place to find new wines to enjoy. This year marked the 35th time the competition has been held and it was the biggest one yet. There was a total of 4,902 wines entered from 29 states and 26 counties. 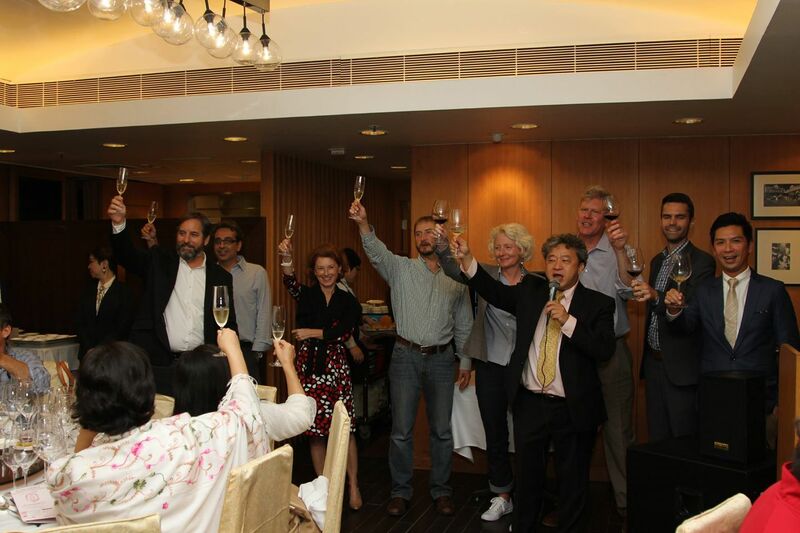 A panel of international wine experts judges the wines via a blind taste test. This year’s competition was held on June 12, 13, and 14. Make sure to check out this great article that was written about our winemaker Keith Hock! He has decided to become a full time independent winemaking consultant with his new venture Hock Wines. Along with the work he is doing here with us at Tognetti Family Winery, Keith is also taking the lead on a number of exciting projects around Napa and beyond. We look forward to continuing our work with Keith and the excellent wines to come. 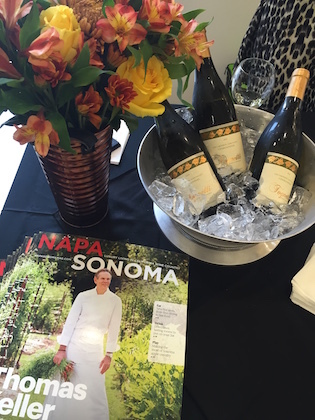 We were invited to pour our wine for the clients of the Charles Schwab downtown Napa branch. It was a fun event filled with food, music, and great wine from a number of wineries. We had our first harvest party to celebrate the completion of our 2013 harvest. It was a small event filled with family and close friends. The fruit look great, the event was fun, and we are looking forward to a great new vintage.